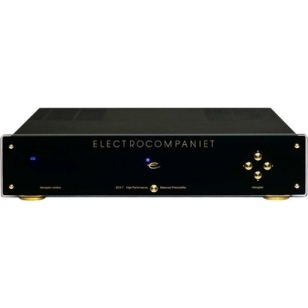 The Electrocompaniet EC 4.7 is a high resolution, high performance, DC coupled and fully balanced, remote controlled preamplifier. EC 4.7 has six single ended inputs, where one is fully balanced. One balanced and one single ended line output, and one fixed single ended output to be used as record. The remote controlled motorized volume is developed to not influence or degrade the sonic performance of the EC 4.7. Volume control and input sources can easily be navigated from the remote controller or via the navigators on the front panel. The navigator's window displays the selected source, and the volume position in analogy shown by a blue lit. 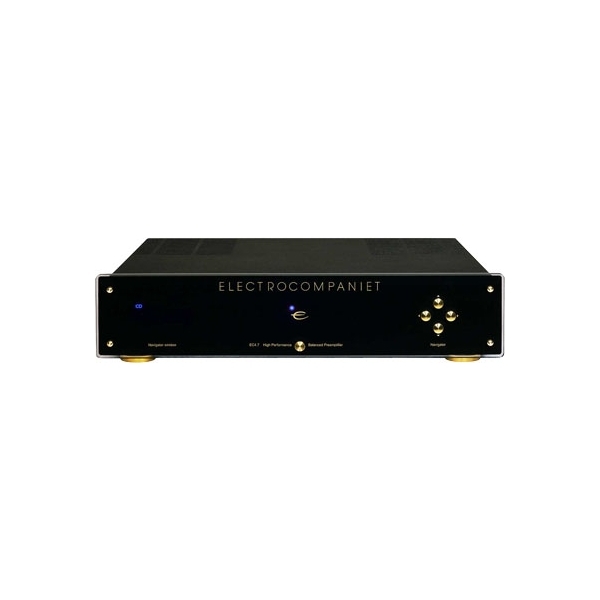 The EC 4.7 features Electrocompaniets unique FTT technology, which is capable of deliver twice the current as conventional power supply designs. This combination with a Toroid transformer and a reservoir of capacitance far beyond necessary will give you more than adequate control of your system. Contains only high quality discrete components. It is a perfect combination with our own products or other manufacturers High-end equipment. Technical specifications -------------------------------------------------------------------------------- All measurements are made at 120V / 240V //50Hz / 60Hz Clipping point of the preamplifier is set to a level where total harmonic distortion (THD) is 0.2% Preamplifier section Single ended operation (gain) 0 dB Balanced operation (gain) 6 dB Input impedance single (fixed) 330 kohm Input impedance balanced (fixed) 165 kohm THD single ended (1 V in, 1 V out, 1 kHz) < 0.001 % Equivalent input noise < 3 µV THD balanced (1 V in, 1 V out, 1 kHz) < 0.0005 % Max. input single > 10 V RMS Max. input balanced > 20 V RMS Channel separation (1 V output, 1 kHz) > 90 dB Attenuation (minimum volume) - 75 dB Output impedance single 100 W (fixed) Output impedance balanced 50 W (fixed) Max. output Single ended 8 V RMS Max output Balanced 16 V RMS Output noise (400 Hz - 30 kHz) Single ended : 5 µV Balanced : 10 µV Signal to noise (400 Hz - 30 kHz) > 100 dB Frequency response (DC - 65 kHz) - 0.4 dB The EC 4.7 is DC coupled from input to output. Power consumption (no load or signal) 15 W Dimensions Width 483 mm / 19 inches Depth 410 mm / 16.1 inches Height 115 mm / 4.5 inches Weight 8 kg. / 17.6 lbs. CMA 400i. El CMA-400i es un DAC y amplificador de auriculares híbrido, es el amplificador de corriente de la serie CMA más asequible. Con la tecnología patentada por Questyle “True DSD” y el chip DAC AKM AK4490, el CMA-400i es capaz de procesad todas las señales DSD sin conversión a PCM. Bluetooth, AirPlay, entrada analógica y digital. 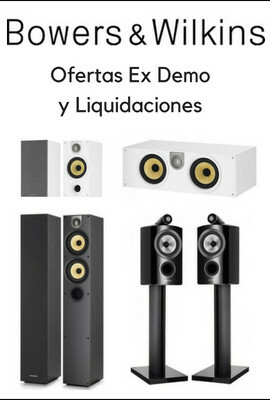 Salida Digital Optica, Coaxial, Subwoofer. PREOUT... Cuerpo realizado en aluminio. Preamplificador de línea de referencia integrado en la serie Foundation. Topología circuital basada en válvulas de vacío 6H30. Ejecutado con componentes discretos hechos a medida para Audio Research. Gestión por menús mediante visualizador de funciones frontal. 4 entradas y 2 salidas analógicas (balanceadas+no balanceadas). El rendimiento del preamplificador CMA-800P sorprenderá a los audiófilosen muchas cosas, utiliza la tecnología de amplificación por corriente, posee una distorsión armónica de 0.00025% de 20 Hz a 20kHz y posee una TIMD tan baja que no se puede medir.